Over the past couple years, I think it’s safe to say that my photography skills have improved. Obviously, I’ve still got a long way to go, and I’ll likely never be completely happy with my work; I don’t think any artist really is. Part of my personal process for improvement is to always set up certain tasks or challenges in which I can hopefully use to further my skills. A couple years ago I took a photo each day for 365 days, for example. Lately, I’ve also been trying to shoot more images with black and white photography in mind. And, this year, I’m really trying to focus on the art of photography. So much of what I do, I think, relies on the amazing destinations I go to along with some photo “tricks” that I know based on the technical side of photography. But the art, well, that’s something that we can work on forever, no matter how sharp our technical photography skills are. As a part of this project. I’m trying my best to focus less on the really technical side of photography, and more on creating images that tell a story, or at the very least create a mood. Moreover, when I go to a certain destination, I want to do more than just show off pretty pictures, I want to portray my own personal viewpoint of where I’ve been and how a country felt to me. 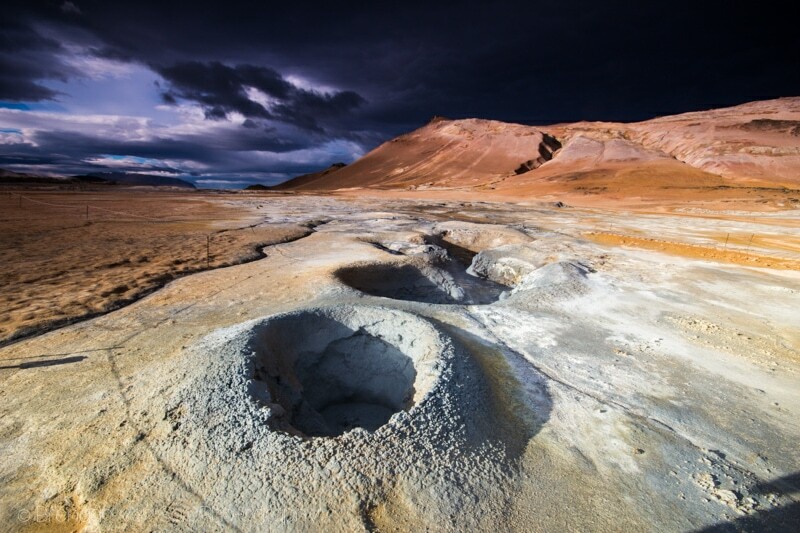 The challenge I set upon myself for my photography in Iceland was to try to put together a photo story of 10-15 images that would serve as an expression of my week there. How many images does it take to tell the story of an entire country? One? Twenty? Check out the process behind my photo story in the video below. The photos I chose are below the video as is a bit of a description on my thoughts. What is my Photo Story Missing? The first thing I thought about when I was planning for Iceland was what things does a photo story for Iceland require? 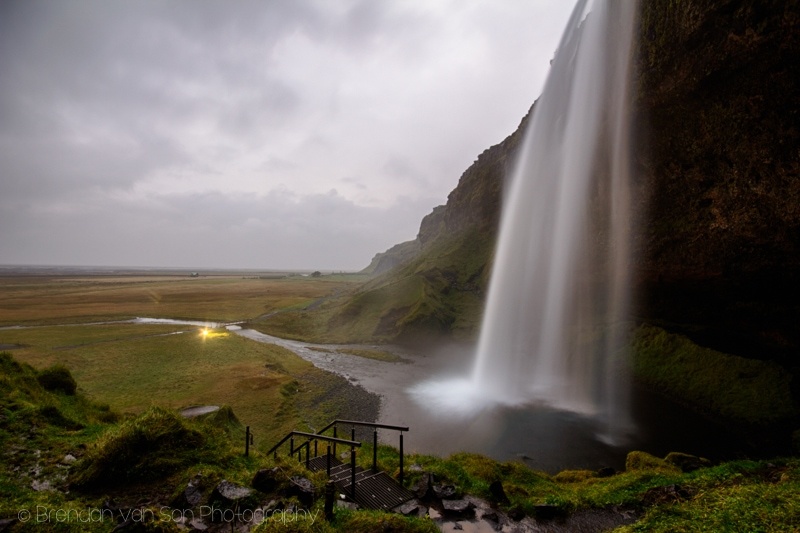 Obviously, it needs the landscapes, and it needs the natural sites like the waterfalls and geysirs. It also likely needs those Icelandic horses, the sheep, the farms, and the northern lights if possible. Upon review of the images, I realized that I really missed out on the people. I think I only shot a photo of two people in Iceland the whole time. A fisherman, and a hotdog vendor. I would have liked to add some cool images of people in the villages. The other thing I’m missing a bit is perhaps the nightlife in Reykjavik, which is famous. But, I just didn’t have the time. I would have also liked to have gotten a puffin photo, but they were gone by the time I got there. If you were to ask my which were my favourite images from Iceland, I think only 1 or 2 of these would have made my top ten. But there’s a major difference between a stand alone image and a part of a photo story. I chose these images because they work together to tell that story of Iceland from coast to coast. 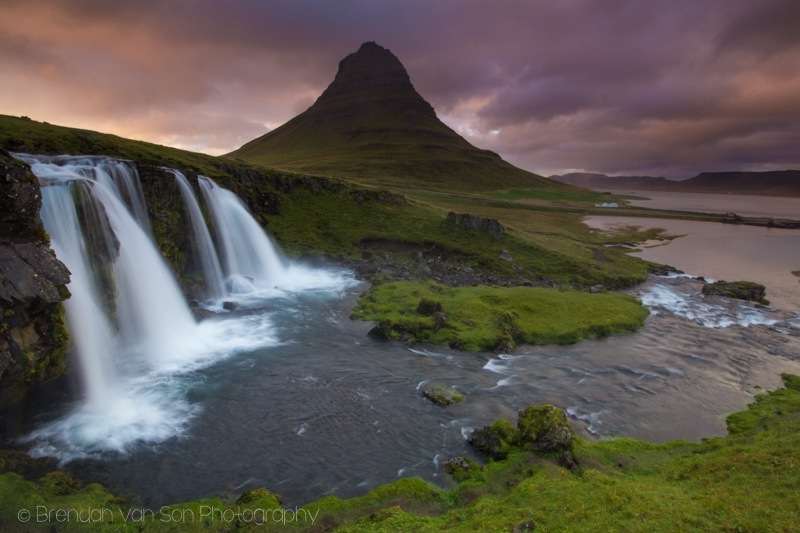 Iceland is far more diverse than the vast images of waterfalls might explain, around every corner there’s a new scene, a new weather system, and a new image to describe the mood. Below are the images as well as a quick caption to them. I’m not going to give you any of the data to the photos this time, since these images are more about the art. I will go into brief details on the techniques I used to shoot them, though. All trips to Iceland start and end in Reykjavik. Lots of photographers skip over the city, but when half of a country’s population lives in one city, you need to capture it. 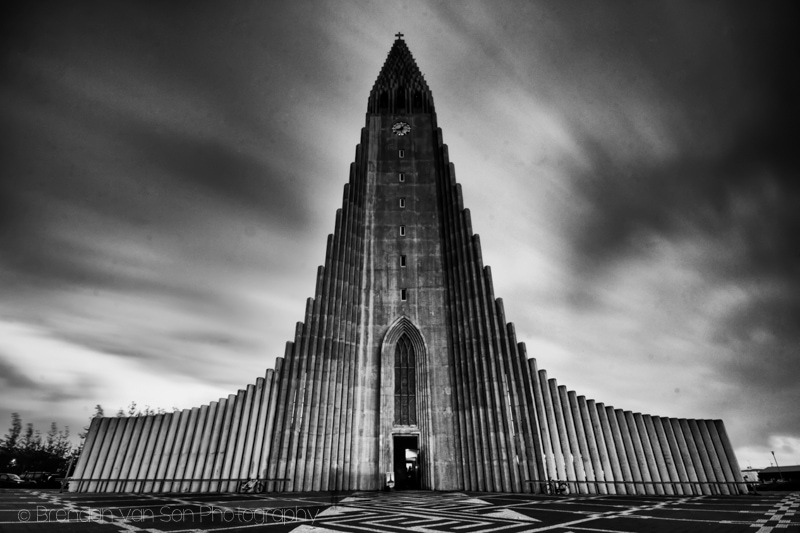 I feel like this church was the “symbol” of Reykjavik. I shot this image using a 3 stop ND filter and a 3 stop gradient ND filter. Shot a really long exposure for effect on the sky. This photo doesn’t show my growth as a photographer, but it does remind me how far I’ve come. I used to get focused on a single shot and only get one really good image in a shoot. Now, I’m constantly looking around for a better angle or something different to shoot. I saw the light hitting the village of Grundarfjordur well out shooting the Kirkjufellsfoss waterfall. Well everyone else was focused on the waterfall, I managed to get a cool photo of an Icelandic village I’m not sure anyone else has a similar image of. 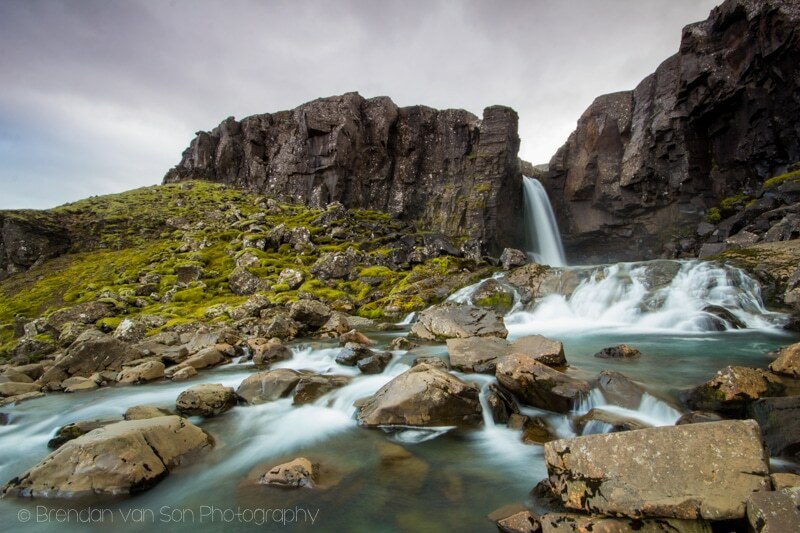 Part of the Iceland photo story has to include classic images like this one of Kirkjufellsfoss, of course. This is one of the most iconic places in all of Iceland. 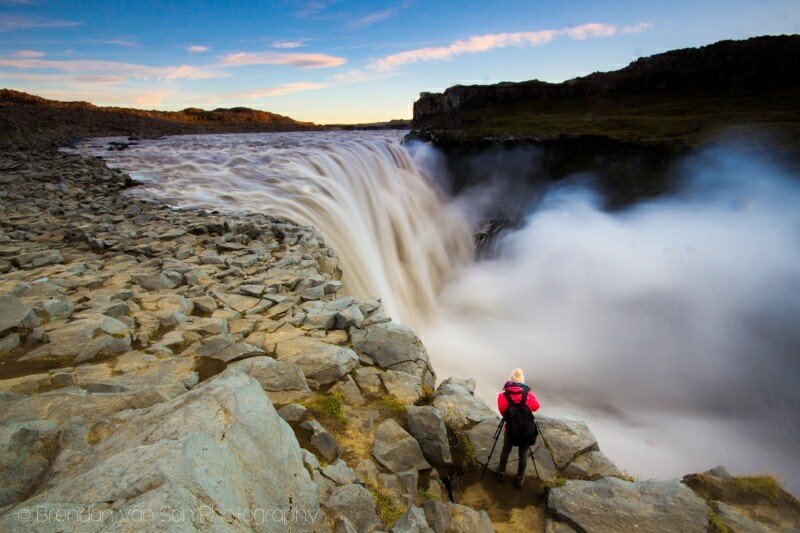 The power of this moment at Dettifoss can’t really be described in a photo. But, by climbing above the scene and putting a photographer in the image for scale, I think it works. What you can’t see in this image is the gale force wind that had us on our knees at times worried about being knocked into the waterfall. 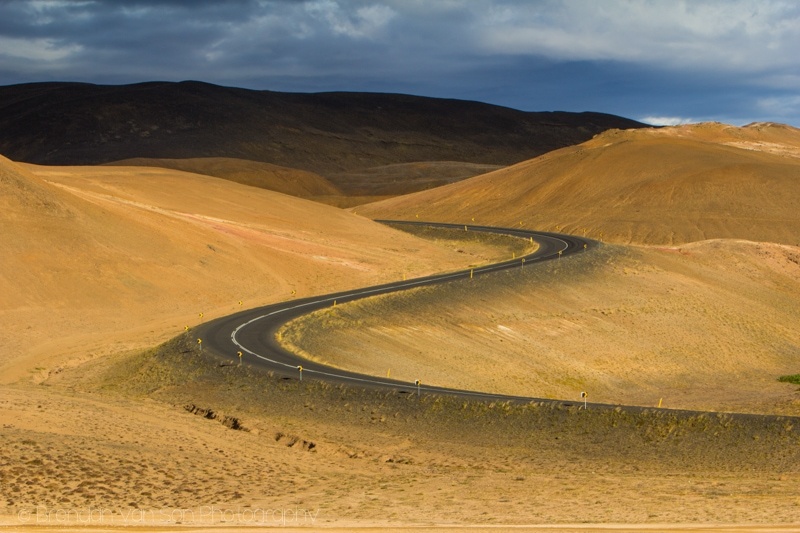 There are lots of cool road scenes in Iceland. This was my favourite. Nothing beats a good s-turn, as a driver or a photographer. What was amazing about Iceland was that there were worthy sites nearly every kilometer. It made it hard to get anywhere. I have no idea what this waterfall in northeast Iceland is called, nor was it a major attraction on the road. But, damn, was it every beautiful and photogenic. One of the images I wanted to try to take was a long exposure of a chunk of ice being surrounded by moving water. 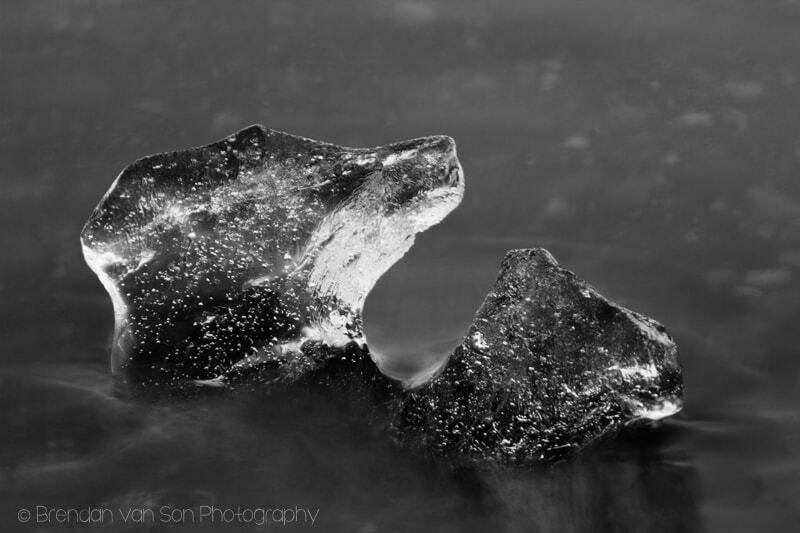 It was a real challenge because the water would move the ice and the image wouldn’t be sharp. So, it ended up being a lot of trial and error with the exposure time, a little bit of luck with how the water looked, and a lot of luck that the water wouldn’t move the ice. Another more classic image of Iceland. 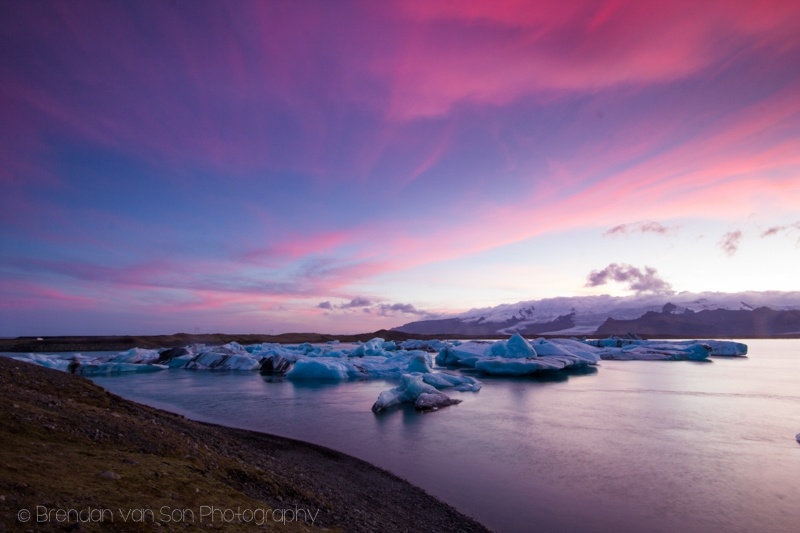 This is Jokulsarlon Glacial Lagoon. We got some great light where we were there. 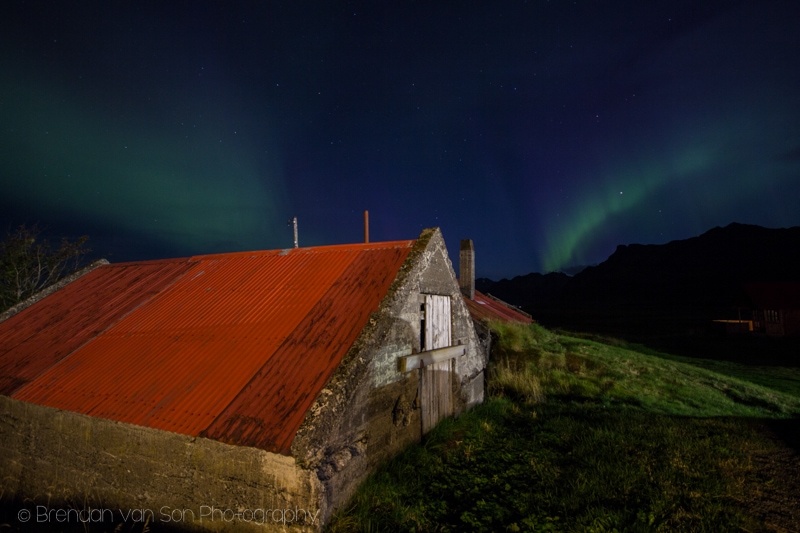 Well it was cloudy most nights in Iceland, we got to see the northern lights on one occasion. It wasn’t an insane amount of light, but how could you have an Iceland photo series without including the northern lights. Since camping was also a huge part of our Iceland trip, I had to include it at some point. 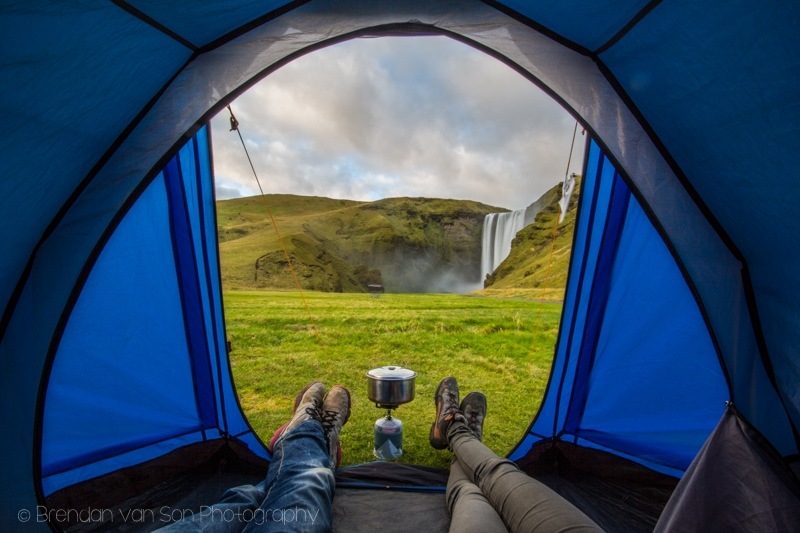 I found the perfect opportunity when we were camped out in front of the impressive Skogafoss. 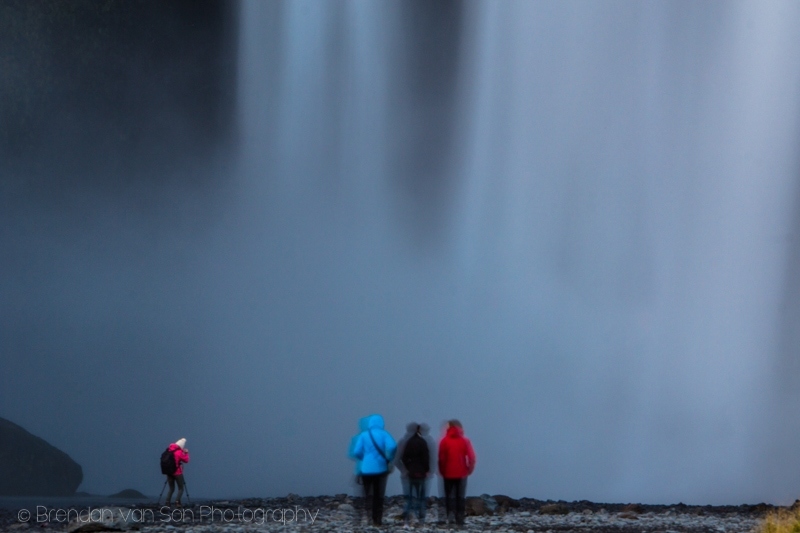 I really wanted an image that showed the scale of Skogafoss since it’s so easy to make that waterfall look small. To make it happen, I used some subjects walking towards its foot. You can see how big the fall is, and how powerful the water is falling, just by the size of the splash. 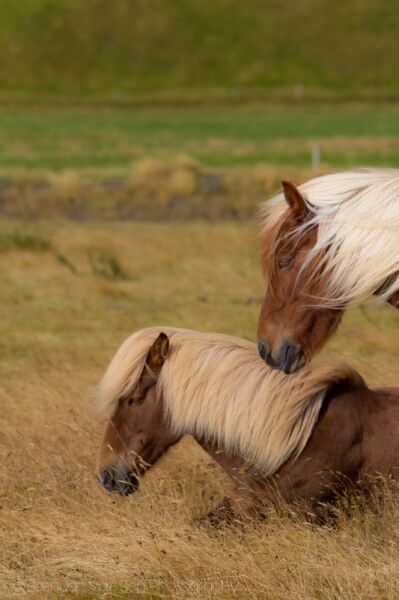 The entire time we were in Iceland I was looking for the perfect Icelandic horses to photograph. We picked these ones because the light was really nice and they also had that beautiful flowing blonde hair. In Iceland, there are sheep everywhere. 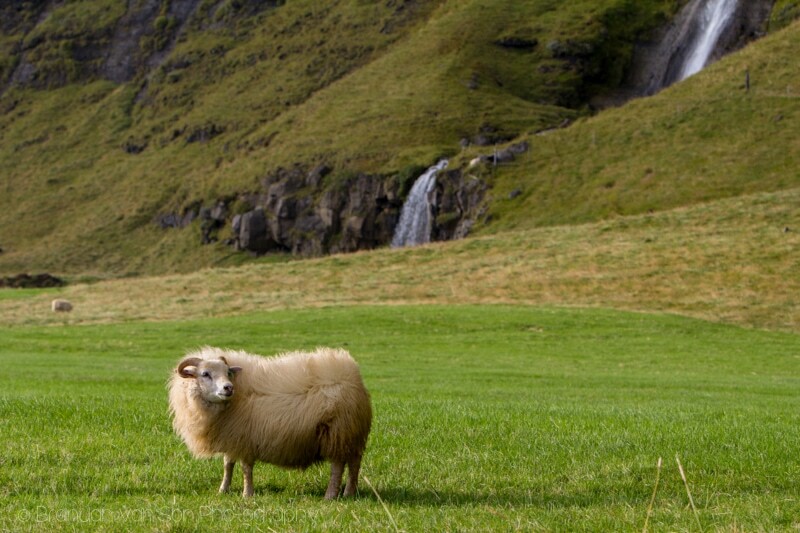 Thus, as a photographer, you kind of want a photo of a sheep that also screams “Iceland”. I used this rolling green landscape and the waterfall to try and make that happen. One of the places we got terrible light and weather was Seljalandsfoss. It’s a shame, because it’s really a spot I wanted to capture properly. That said, even though the photo isn’t perfect, I think it describes the mood of that evening which was miserable, and dramatic. 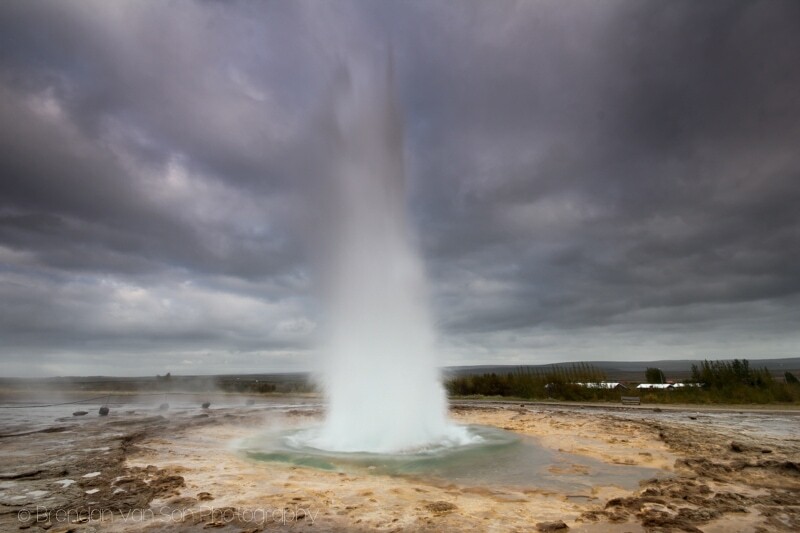 This is the geyser of all geysers. In fact, Geysir is where the word originates. I managed to capture it mid burst with some awesome weather in the background. It wasn’t until we nearly got back to Reykjavik that I realized that I hadn’t taken any photos of people. Thus, it was my mission to grab a person photo or two in the city. 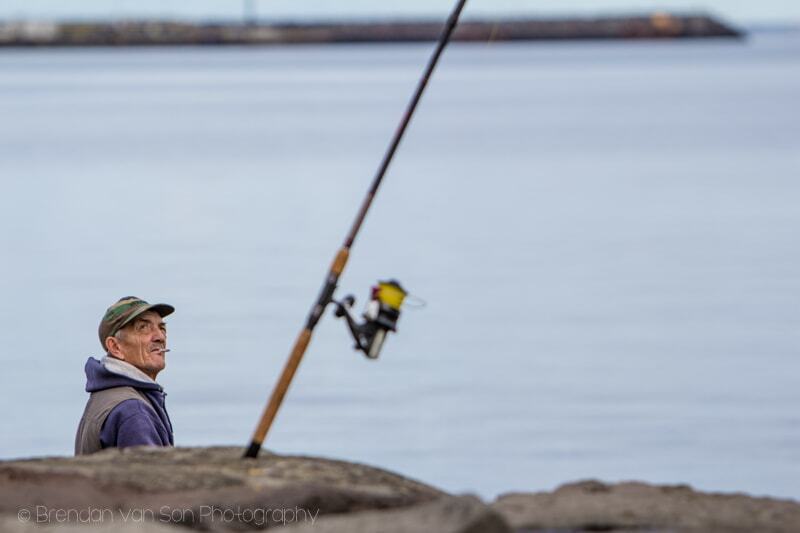 This fisherman was the perfect subject. 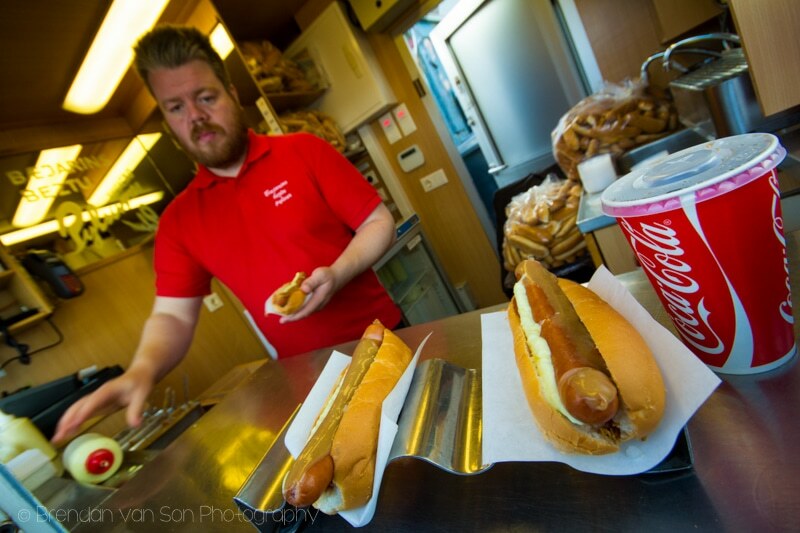 We ate a lot of hot dogs in Iceland. The rest of the food was too expensive. In Reykjavik, this is the most famous hot dog stand. It was the perfect way to end the trip. I’ve probably got a photo post for you still from Iceland with my “B-Side Images” from the country, so there’s still that to look forward to. I’ve also got a gear review of my new Naneu camera bag, and a review of the ThinkTANK rain cover I used in Iceland. I’m also still on the road and will likely have an article from Toronto before I jump on the VIA Rail across Canada. Stay tuned. Next ArticleHands-On Review of Photoshop Elements 13 and a Giveaway! Thanks for checking the images out Rebecca! That image is a personal favourite of mine too! Super stuff. I think everyone gets that same Hallgrímskirkja shot. I know I did. 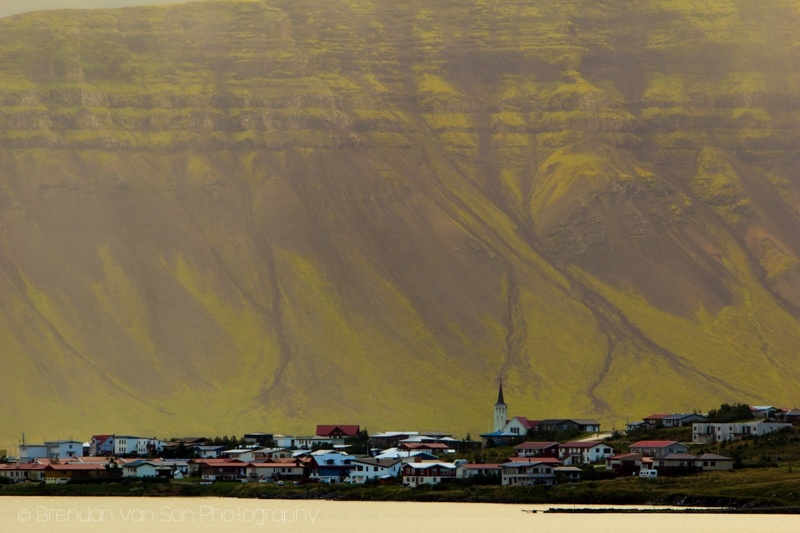 And yes, I’d have to go with the village of Grundarfjordur shot too. Iceland withdrawals yet? Total Iceland withdrawals. This morning I set up my camera next to the sink and ran the tap to try to get some waterfall photos.